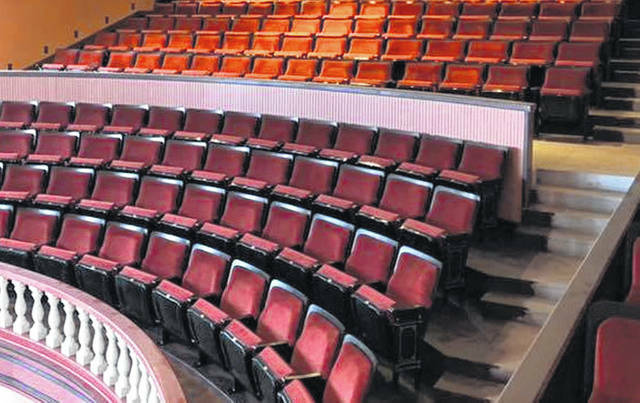 New seats were installed in the balcony of the Woodward Opera House in Mount Vernon. The Woodward Opera House, said to be America’s Oldest Authentic 19th Century Theater still standing, is reopening after a multi-million dollar renovation project at 107 South Main Street in Mount Vernon. The grand opening event is a concert by singer Kathy Mattea at 7 p.m. Feb. 9. Other shows are Fathers Daze on Feb. 23; Livingston Taylor on March 16; and Suzy Boggus on April 16. Tours are also available by call 740-39206102. For tickets or more information, visit www.thewoodward.org or call 740-263-6737. State Rep. Erica C. Crawley (D-Columbus) will hold a community conversation, Saturday, February 9, from 11 a.m. to 12:30 p.m. at The Residences at Career Gateway, Columbus. Community Conversations give constituents the opportunity to meet Rep. Crawley, learn about important programs and initiatives, ask questions about pending legislation, and voice their concerns about the issues that matter most to them and their families. The event is free and open to the public. Valentines from the collections of Essa Willison, Lyall and Joan Rodgers and Polly Horn are on display in the Myers Inn Museum through February. The display is open during regular museum hours of 12-3 on Sundays, Thursdays, and Fridays and 10-3 on Saturdays at 45 South Columbus Street across from the southwest corner of Sunbury Square. Voices of the Underground Railroad, 7 p.m. Feb. 13 at William Street United Methodist Church, 28 W. William St, Delaware. Free, donations accepted. Reenactors will present a series of 10 vignettes about local people during the pre-Civil War era. For more information, email Programs@DelawareOhioHistory.org, or call 740-369-3831 ext. 3, or visit delawareohiohistory.org. Be advised the Delaware Area Career Center Board of Education meeting schedule for February is as follows: Thursday, February 21, 2019 Regular Meeting 6:30 p.m. North Campus. Meetings will be held at the: North Campus location at 1610 State Route 521, Delaware OH. Meeting agendas are posted to the DACC website prior to each meeting. SourcePoint invites vendors and other local markets to participate in the nonprofit organization’s farmers market voucher program. This program provides Delaware County residents ages 55 and older with vouchers to purchase fresh, nutritious, locally grown fruits and vegetables. The 2019 season runs from June 1 through Oct. 31. Interested vendors must submit a vendor agreement and W-9 to Lia Crosby, nutrition services coordinator, at lcrosby@MySourcePoint.org or mailed to Crosby’s attention at 800 Cheshire Road, Delaware, Ohio 43015. Markets may contact Crosby at 740-203-2362 with questions. New markets are encouraged to apply by March 15 in order to be included in all promotional materials. https://www.sunburynews.com/wp-content/uploads/sites/48/2019/02/web1_seats2.jpgNew seats were installed in the balcony of the Woodward Opera House in Mount Vernon.